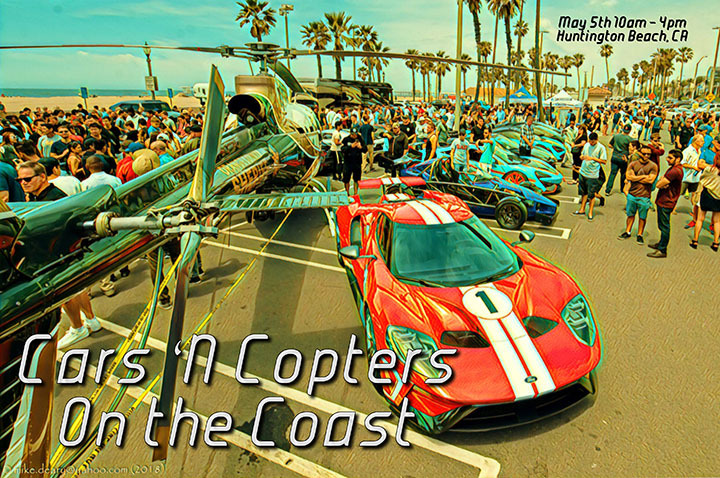 Exciting event for a fun road trip to Huntington Beach, California for the Cars ‘N Copters benefiting the Huntington Beach Police Department Air Support Unit and many other community and police programs. This unique show will feature a stunning array of exotic cars, as well as an impressive lineup of helicopters. This is a combination very rarely seen together. The display of exotic cars goes well beyond the rare Ferrari, Lamborghini and McLaren. This display will host cars that you only ever see in photos: the most outstanding and incredibly rare hypercars in the world. We’re talking Koenigsegg, Bugatti, Pagani and our favorite four ringed cars! For those that are interested in this event as it will be an overnight event, please email [email protected].